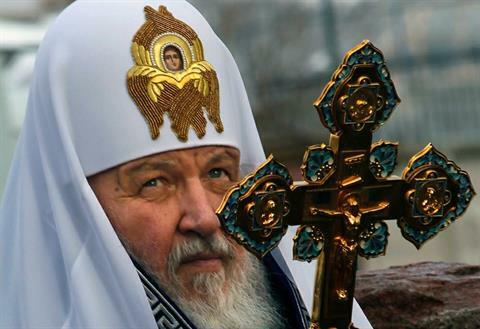 BEIRUT: The Russian Orthodox Church has warned of a “genocide” against Christians and other religious minorities, urging the international community to take action. The call came in a forum held over the weekend in Liechtenstein and dedicated to the crisis in Syria, which was attended by Catholic and Orthodox clergy along with diplomats, including Lakhdar Brahimi, the United Nations-Arab League envoy for Syria. Politicians and the media rarely raise the issue of the persecution of Christians, he said, adding extremists were guilty of attacking Christians and other minorities. “Not only Christians are persecuted, but also Alawites and supporters of the moderate Sunni regime, including its authoritative leaders,” he said, adding that “terrorists” destroyed the Umayyad Mosque of Aleppo. Pro-opposition sources blame the regime for damage to the mosque. “Every week we receive news that bandits have destroyed a Christian monastery or church, kidnapped or killed a cleric, raped a Christian woman and that Christian families have been ousted from their houses,” Hillarion said.